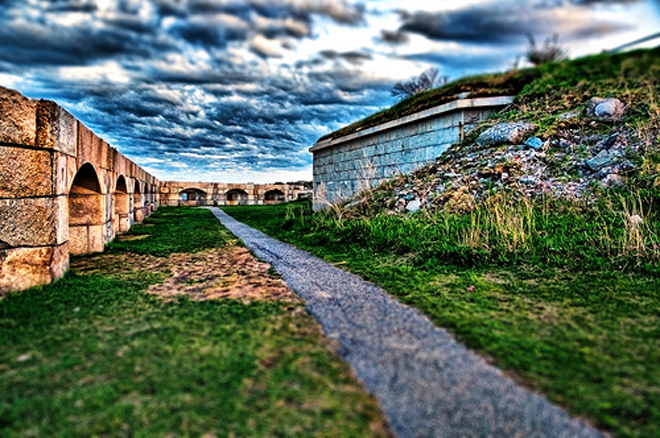 Fort Preble is a remnant of Portland, Maine’s naval history. The fort was built in 1808 to help enforce the trade embargo that was enacted by President Thomas Jefferson against the British in 1807. It was named after navy officer Edward Preble, who was born in Portland and died a year before its completion. Following distinguished service in the Revolutionary War, Preble eventually rose to the rank of Commodore. Fort Preble is the scene of the only known Civil War conflict fought in Maine; the Battle of Portland Harbor. The Civil War had raged for nearly two years by the early summer of 1863. Confederate Lieutenant Charles W. Read, was raiding and commandeering numerous boats, before transferring his crew to the Tacony, on June 12. Captain Read and his men captured fifteen more ships for the South over a course of twelve days before transferring to a schooner, the Archer, which he sailed into Portland in search of a new prize. Within the safety of Casco Bay, was the revenue cutter, the Caleb Cushing and a passenger steamboat, the Chesapeake. Read attempted to hijack the Chesapeake but the steamboat’s boiler refused to start. Frustrated, Read set his sights instead on the Caleb. On the morning of June 26, 1863, Read made his move and his crew dressed as fishermen boarded the vessel but were unable to set sail through lack of wind. Kathryn DeFillipio of the South Portland Historical Society explains that it is unclear whether Read and his men were overcome by the citizens of Portland, Union forces or a combination of both. 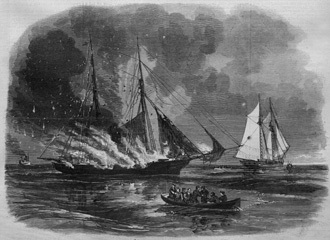 What is known is that with insufficient wind to escape, and unable to find the secret compartments of arms and ammunition on the cutter, the Confederates set fire to the Caleb Cushing in desperation and abandoned ship. Read and his men were taken into custody and imprisoned at Fort Preble. Local citizens were thought to be so outraged by their actions that extra guards were needed to protect them, before they were moved to Fort Warren in Boston Harbor for their own safety. Today, it’s difficult to imagine such escapades in Casco Bay. 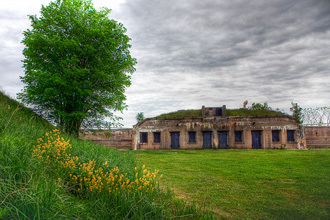 Fort Preble was in continual service for almost two hundred and fifty years before being decommissioned in 1950. Preserved by the Southern Maine Community College, Fort Preble is an important reminder of our military history. All photos are copyright their respective owners. For more of Michael Underwood's stunning photographs, click here.